Ever since my trip to Denmark earlier this spring, I’ve been absolutely dying to get my hands on a copy of Sara Blaedel’s forthcoming THE UNDERTAKER’S DAUGHTER (on sale 2/2018). 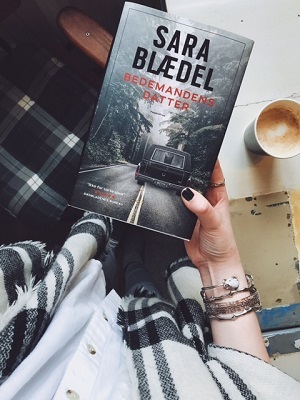 This book will launch a whole new series for Blaedel: one that’s less police procedural-driven than her Louise Rick series, and more focused on the secrets that ordinary people can hide from one another. Long story short: at this year’s BookExpo America (BEA), I was lucky enough to get an advance copy of the US edition of THE UNDERTAKER’S DAUGHTER, which will release in the US in February 2018! I know - that’s a long way away. To help tide you over until then, I’m excited to share a little preview of the book: plot summary, about the author, and the top 3 elements of this book that I loved! First things first: the Undertaker’s Daughter series will have a very different tone from Blaedel’s Louise Rick series. Where the Louise Rick series was darker and more police investigation-oriented, the Undertaker’s Daughter series has a bit of a lighter tone, and focuses more on the hidden secrets of its characters. Readers looking for a dark and gritty investigation will be better suited to the Louise Rick books; readers looking for a lighter suspense story that delves into the inner lives of its characters will love meeting Ilka, main character of THE UNDERTAKER’S DAUGHTER. There’s a whole lot to love about this new series: a totally new backdrop for Sara’s writing (this series is set in Racine, Wisconsin! ), a totally new tone, and a brand-new main character for readers to get to know. But to narrow it down, here are the 3 key elements that I loved most about THE UNDERTAKER’S DAUGHTER! 1. Ordinary characters in extraordinary situations. This is one of my favorite kinds of mysteries: a mystery that throws a regular person into a very unusual situation. 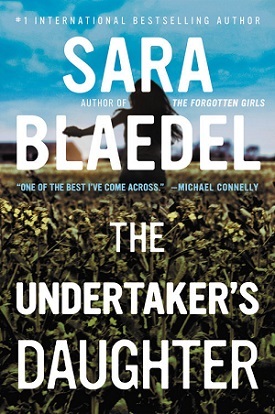 Blaedel has crafted exactly that kind of story in THE UNDERTAKER’S DAUGHTER—ordinary woman Ilka has to travel from Denmark to the US after her estranged father passes away, and in the process, she finds herself in the middle of an unsolved murder, a bankrupt business, and a whole lot more…Where the Louise Rick books dealt with heavier, more violent subject matter, the “ordinary person” angle of this story allows Blaedel’s charm and personality to truly shine through in the characters she writes. The characters in this story are endearing, quirky, and most of all, they feel like real people. 2. A vividly-researched setting. Blaedel has always been praised for her ability to write detail-oriented, well-researched police procedurals with her Louise Rick series. In THE UNDERTAKER’S DAUGHTER, she applies that same skill to a totally different world: the world of funeral homes. This book delves deep into the world of undertaking, and it’s evident how much research Blaedel has put into learning about this industry! From the embalming process to the regulations on crematoriums to the ins and outs of running a funeral home, Blaedel writes authentically and vividly about a world I’d never much considered before. I already have about a billion questions I'd like to ask her about researching this book. THE UNDERTAKER’S DAUGHTER is an engaging, engrossing start to a new and exciting series from Denmark’s Queen of Crime. 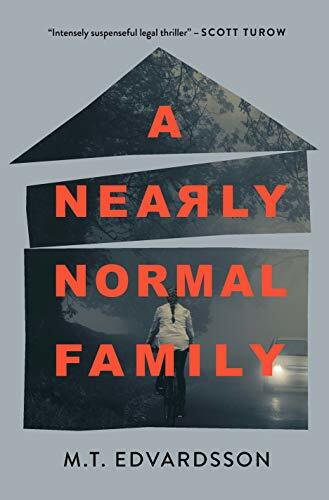 This book will appeal to readers looking for a story of interpersonal intrigue, family secrets, and small-town life. Stay tuned for more coverage of THE UNDERTAKER’S DAUGHTER as we get closer to its February 2018 release date! Disclaimer: I received a free copy of this book from the publisher. All opinions my own.